With their hefty hooked jaws, clawed dinosaurian feet, rugged shells and long, sometimes sawtoothed tails, snapping turtles – or “snappers,” as they're commonly called – rank among the most intimidating and primordial-looking of their kind. They’re exclusively found in the Americas, where one species or another ranges from southern Canada to northwestern South America. Snappers fall into their own turtle family, Chelydridae, which includes two genera: Chelydra, encompassing the North American common snapper and two closely related neotropical cousins, and Macrochelys, the mighty alligator snapper. "Snappers" are exclusively New World turtles belonging to the family Chelydridae, which includes three snapping turtle species in the genus Chelydra and the alligator snapping turtle – lately proposed to represent a few distinct species – in the genus Macrochelys. This is the most widespread and well known of the snapping turtle species within Chelydra; in fact, for a long time it was considered the only member of that genus, the Central and South American snappers discussed below being previously described as subspecies. Common snapping turtles range from south-central and southeastern Canada to the U.S. Gulf Coast, and from the central Great Plains in the west to the Atlantic Seaboard, inhabiting a wide variety of freshwaters across that large range and even occupying brackish (partly salty) coastal wetlands. Scientists recognize two subspecies: the common snapper proper, C.s. serpentina, and the Florida snapper, C.s. osceola, found in the far south of Georgia and Peninsular Florida. Sometimes growing longer than a foot and weighing (rarely) as much as 76 pounds, the common snapper is a burly turtle with a long tail crested with sharp scales, rather like a crocodile’s, and impressively clawed feet. Its carapace – the upper part of the shell – comes roughened by three keels, while the plastron – the lower shell – is quite small. All that makes for an imposing-enough creature, but then there’s the business end: a big wedge of a head armed with heavy jaws and a sharp-pointed beak. 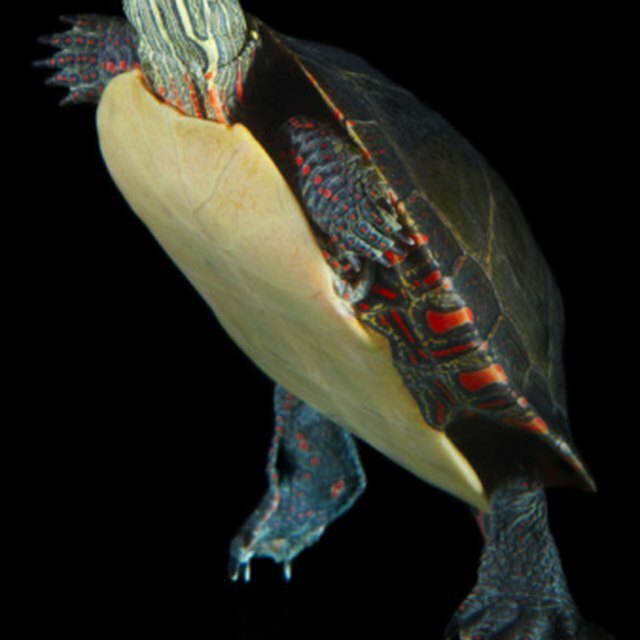 It uses those formidable chompers to prey on everything from invertebrates and fish to frogs, snakes, waterfowl, small mammals and fellow turtles, though aquatic plants and carrion also contribute to the snapper’s diet. Only minor anatomical details differentiate the Central American snapping turtle, Chelydra rossignonii, and South American snapping turtle, C. acutirostris, from the common snapper of North America. The Central American snapper inhabits the Gulf Coastal Plain of Mexico – in the states of Veracruz, Oaxaca, Tabasco, Campeche and Chiapas – as well as the Caribbean coastal lowlands of Belize, Guatemala and Honduras. The South American snapper, meanwhile, ranges from eastern Honduras south to the Pacific coasts of Colombia and Ecuador. The Alligator Snapping Turtle(s), Macrochelys Spp. The Chelydra snappers are all plenty big, but none hold a candle in the size department to the alligator snapping turtle of the American South: Males of this hulking tank of a turtle commonly weigh on the order of 150 pounds, and exceptional specimens may potentially tip the scales at twice that, making this one of the very largest freshwater turtles on Earth. Roughly speaking, alligator snappers resemble supersized common snappers, but they have a proportionately larger head and a knobby rather than serrated tail. Also, and uniquely, the alligator snapper boasts a wriggly red appendage on its tongue that functions as a lure, drawing hungry fish into the turtle’s monumental, wide-open maw while it lies in motionless ambush on murky swamp- and lakebottoms. The alligator snapper was long considered a single species, Macrochelys temminckii, but a 2014 review suggested splitting the genus into three species: M. temminckii in the Mississippi and Mobile drainages, M. suwanniensis in the Suwanee River basin of Florida and Georgia, and M. apalachicolae in the Florida Panhandle. Turtles of the World; Franck Bonin et al. Shaw, Ethan. "Types of Snapping Turtles." 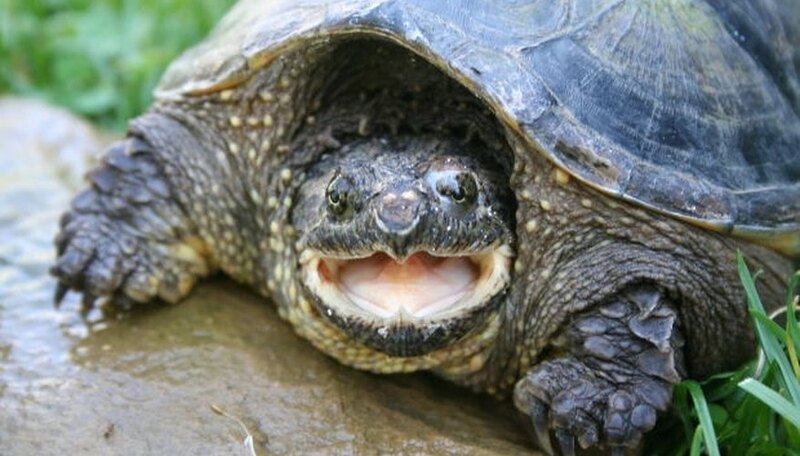 Sciencing, https://sciencing.com/types-snapping-turtles-5470486.html. 13 August 2018.